I have a "Freedom Stick - 250U" in the order queue with the status of Device Allocated. I've since changed my mind. How do I cancel my order and get a refund? 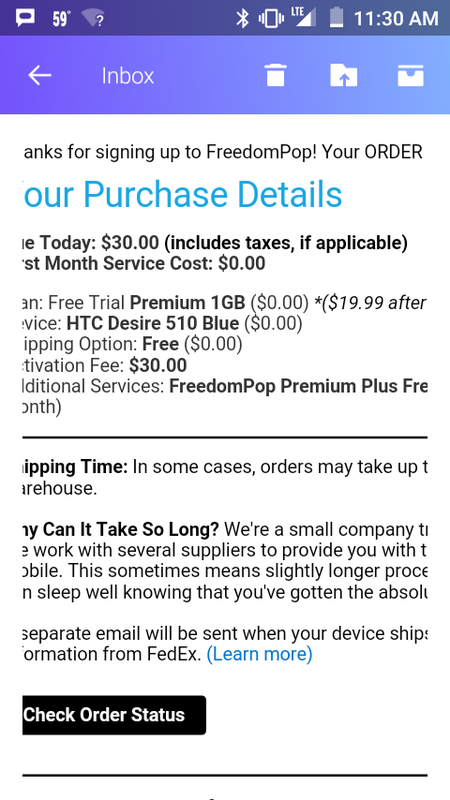 And get a refund on the "FreedomPop Premier" that was billed me though it has not shipped? The order was placed on 26 January and I was billed on 29 January. 1. will it drop from the my device list? 2. will I be refunded both the "initial signup" and "monthly charge'? I've received my refund for the "initial signup". Thanks! But I have not yet on the "monthly charge". Today marks day 10 from the date of my request. Should I be waiting longer? Since I never got (and subsequently canceled and was refunded) the "Freedom Stick - 250U", I am requesting a refund for the $9.99 charge associated with it. I have only one device, I assume I would be charged for one "FreedomPop Premier" and not two. @J S Please PM me the email associated with the Freedom Stick, thanks. I've also had a problem with my Freedom Stick. It says the driver won't load. Tried to get it corrected by Cust. Svc., but not helpful. How do I return and get a refund? after I have completed my order, there was a confusing addition offer and instead Clicking on no thanks I mistakenly clicked on continue. That created another order 55195484, please cancel this duplicate order. I want to cancel my order, order# 55255435, I forgot I already have a freedompop mifi device that I just need to get activated. Can you tell me how to get it activated? 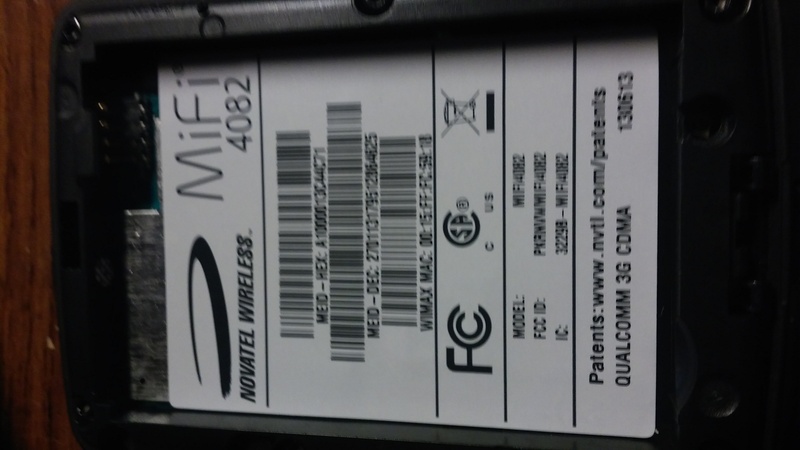 Attached is the device I need to activate so I can use. I would like to cancel my order# 56313543. I have changed my mind and don't need this service anymore. Please cancel my order 59410388 . I made 2 orders, but I did not notice that the first one was purchased under previous user's e-mail. So I did not get any confirm mail. Then I logout and place another order. The shipping address of the 2 orders are the same, please keep 60154464 and cancel another one (I don't know the order number). Thank you. I want my money back of transaction 81086355. Cancel the order please.